Hartmann’s moulded fibre egg cartons are known for their efficiency, runability and problem-free denesting on all machine types. Hartmann’s premium egg cartons offer a high carton finish with a smooth surface for clean and crisp colors. Plenty of space on the egg carton for a large label and a wide array of opportunities for creative label design make it easy for the shopper to make the right choice. Moulded fibre is biodegradable and can be recycled. All Hartmann egg cartons are made using strong molded fiber in designs that give you great protection from egg damage. Clearly visible eggs without opening the carton or breathtaking labeling for specialty brands mean fast-moving sales and retailer preference. Excellent shapes with good handling properties mean efficient stacking, high machine runability, and low storage requirement. Use the egg carton product finder to see which Hartmann packaging solutions best fit your products and brands. Simply select an egg size and the number of eggs per carton. Egg packaging that is expressly designed for runability and storage logistics enables maximum uptime, maximum throughput, minimum costs, and on-time in-full (OTIF) delivery.  Robust egg packaging designed to prevent or minimize breakage enables delivery in-full, maximum revenue, and complete customer satisfaction. Attractive egg packaging that is aligned with the brand and engages the consumer means higher sales and higher margins. The correct egg carton design for the right product based on documented market data and consumer insights maximizes salability of private label products. Documented regional and national consumer preferences for particular products enable procurement and shelf management that maximize sales revenues and margins. Hartmann’s design tool lets you visualize a given egg carton type using numerous graphic designs and colors, providing print-ready design data.